Design Your Home school Education! Create home school educational learning plans for your unique children. Families are unique and each child is different, but one thing is the same for all of us: We love our children and want the best for them! We want to see them grow into confident adults who love learning and know how to learn and teach themselves all sorts of things. We don't want to hold them back, we want to give them opportunities. We want them to be comfortable with themselves and with others. We want them to explore, investigate, make conclusions and solve problems. We want them to love, be generous, show concern for others and make a difference in the world in which they live. It's your family, so - Design it YOUR way! 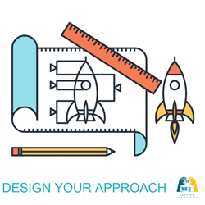 and help you Design Your Homeschool! 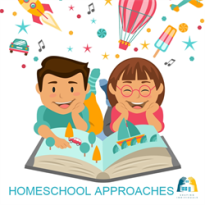 My site is filled with helpful homeschool advice across 100's of pages - so think of it as a guide to homeschooling - 7 steps to follow to help you map out how to home school. The steps are pictured below and they are mirrored on the top navigation bar for easy access so you don't have to feel lost! 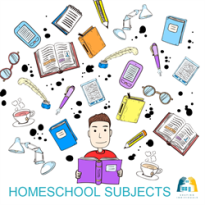 connect with others and get homeschooling support. Do I buy a Homeschool Curriculum? P.S. ... This is not the first question to ask! 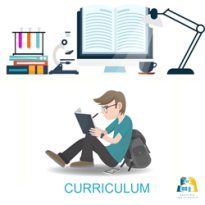 Many people begin with the question, "What homeschool curriculum should I use?" But, I'd love to suggest that you could consider designing your own plan! In fact, that's how my site is structured. Wouldn't it be lovely to have the confidence to teach a variety of subjects? To create an approach that suits you and your children? To choose living books to use as your curriculum? To make decisions based on your goals and to enjoy this precious time with your God-given children? You can give your children a high quality education! Learn alongside them, direct them, watch them and share the wonderful journey of homeschooling as a family! As a family, you can decide what is important, what educational goals to pursue and how to go about it. 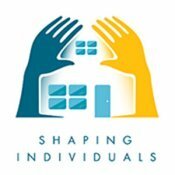 Learn how to develop your own individual home school approach which reflects your goals, lifestyle and your family. Let me help you Design Your Home school in your own unique way. 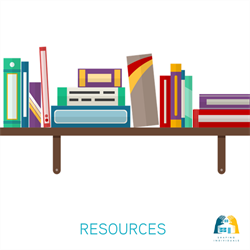 Be encouraged to homeschool, as you find educational tools and information, as well as a bunch of suggestions and ideas. What is keeping you afloat in the tough times? Remember that when you are choosing your home school curriculum, you are the Master and the curriculum you may choose to buy, must be the slave. Thank you so much for this site! 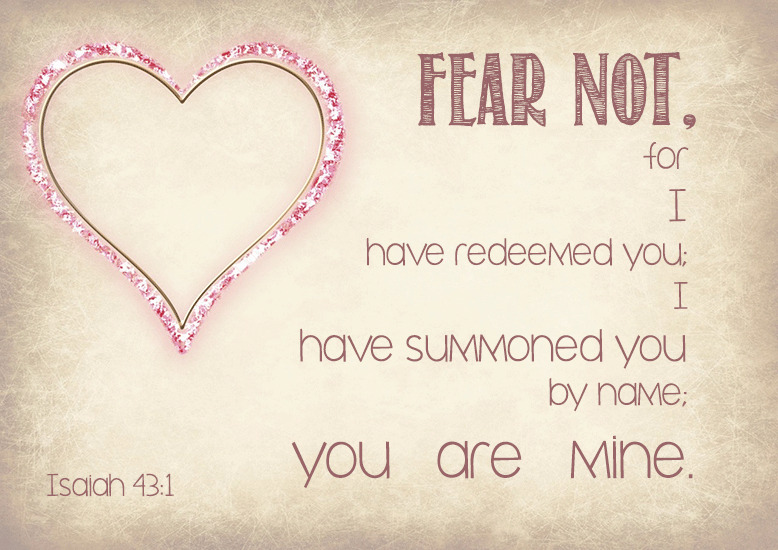 It is an answer to my prayers and is helping me get my priorities into perspective. Seeing my children individually as God would want them, is helping me come out of the dilirium of first time home schooling and confusion. 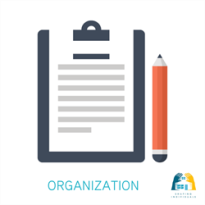 This is what I needed, an outline with descriptive objectives to produce my own family home school." "Marianne- I just wanted to say thank you for your site. 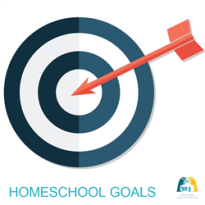 After homeschooling for the past 6 years, my husband and I were talking recently and he asked me to write out some big picture goals as I plan the new school year. I've been searching for some help online to little avail. I prayed today that I'd be able to find what I needed and your website is just the thing. I plan to comb through it carefully and use it as a guide. Appreciate all the wisdom and resources you share. Look forward to coming back again and again. Blessings,"
Trust Yourself ... Trust your decision ... Above all - Trust God! You have been courageous by stepping out to homeschool and it's not something you want to do on your own. 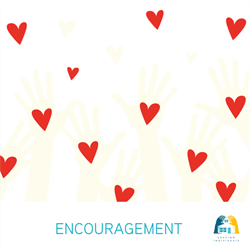 We all need encouragement on the journey and it's wonderful to know that as a Christian we are never alone! Join me on the Keep on Track Homeschool Ezine for ongoing support and articles of encouragement for Christian homeschooling. Other: - Please add below..
What is the biggest problem, frustration, or obstacle you are currently facing?